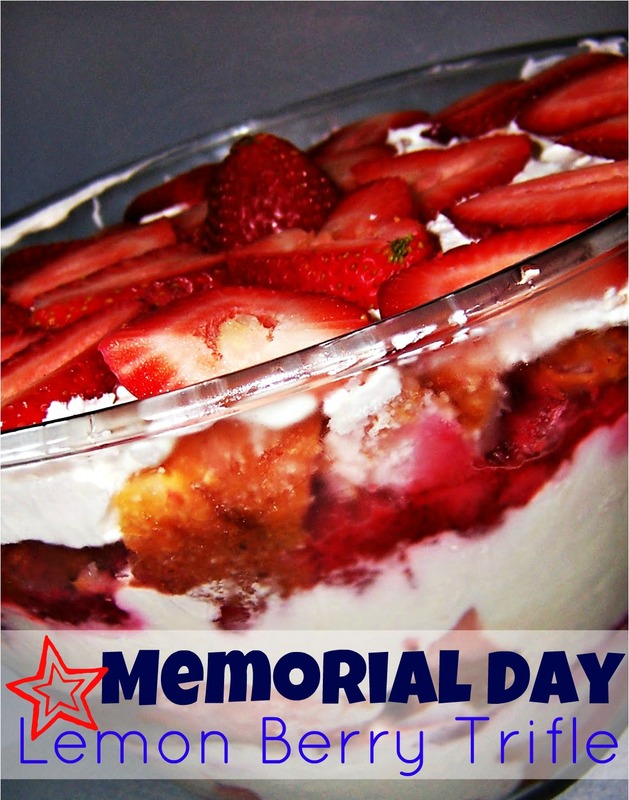 Are you looking for an easy, delicious and refreshing dessert to make for your Memorial Day cookout tomorrow? This Lemon Berry Trifle is SOOOOOOO good, and it is also a snap to make! Trifles always look like you spent hours preparing and assembling them, but this recipe doesn’t call for any putzing at all. The only time-related requirement is that you let the trifle refrigerate for at least 8 hours before you serve it to let the flavors mingle and get lovely. Oh, and did I mention that it is totally low-cal and low-fat? And that it still tastes fantastic? Yeah, thought that would get you. In a large bowl, combine the milk, yogurt, lemon juice and peel. Fold in 2 cups whipped topping. In a 3-qt. trifle bowl or deep salad bowl, layer a third of the cake cubes, a third of the lemon mixture and a third of the berries. Repeat the layers two more times. Spread remaining whipped topping over berries. 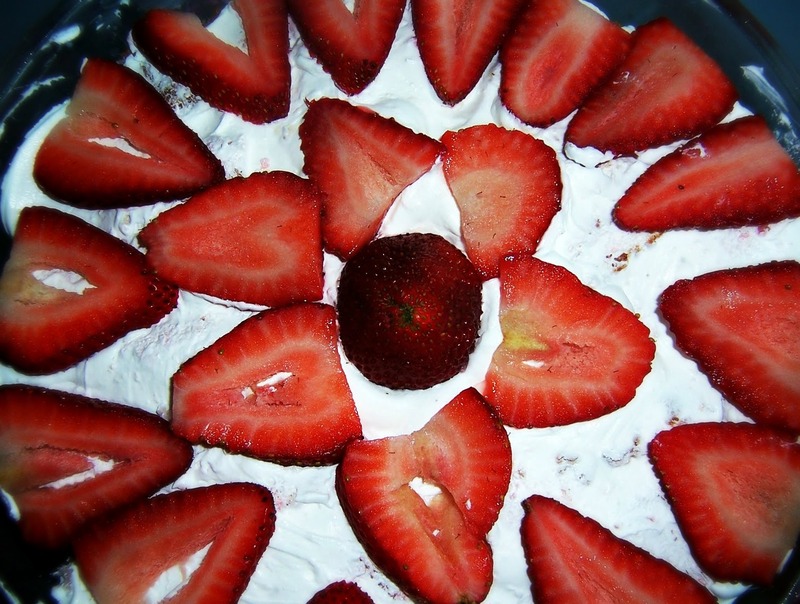 Arrange sliced fresh strawberries on the top. Cover and refrigerate for at least 8 hours. Thanks for sharing this recipe. We are having a cookout this weekend and that would be a great dessert. It looks heavenly…. This recipe looks great, thanks for linking this up to my hop this month!